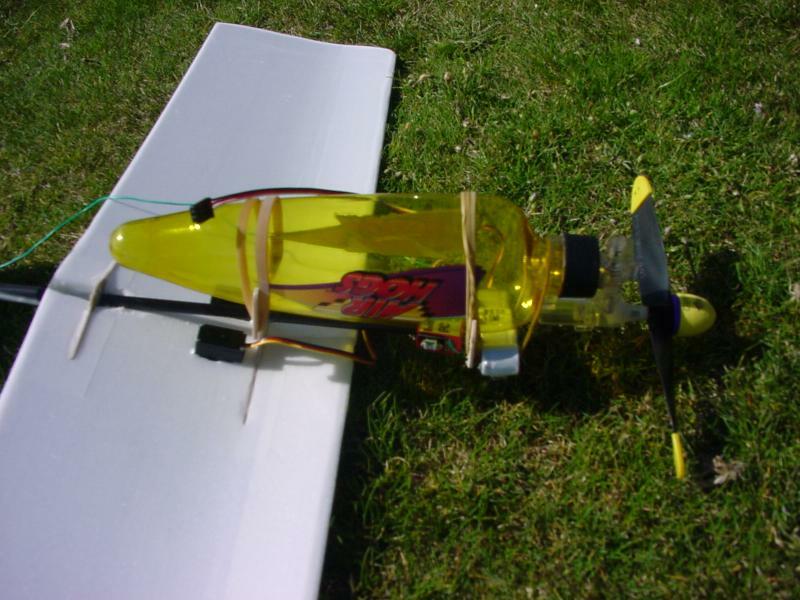 This is a radio controled ultra-light park flyer built around a compressed-air engine taken out of an "Air Hog" toy plane. The engine runs for about 20 seconds. 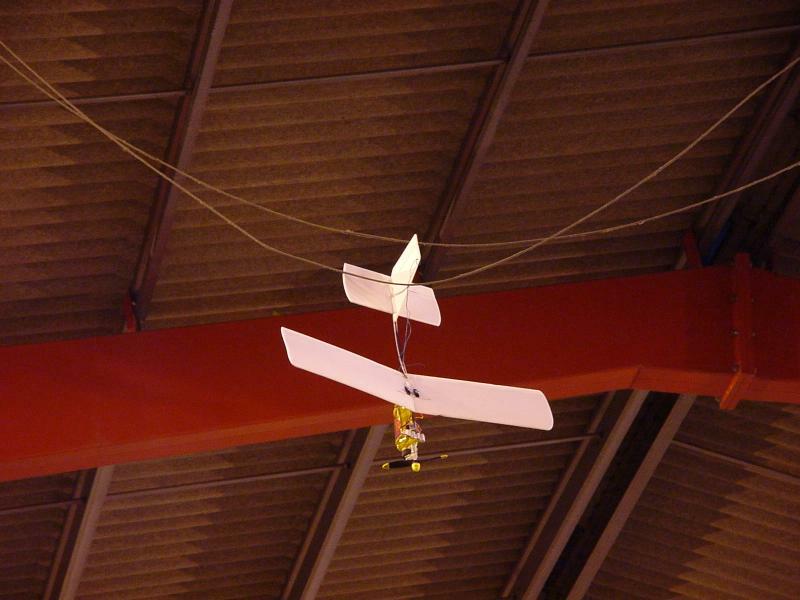 The wings are formed of two 400mm by 150mm rectangles of 6mm Depron glues together with 5minute epoxy. 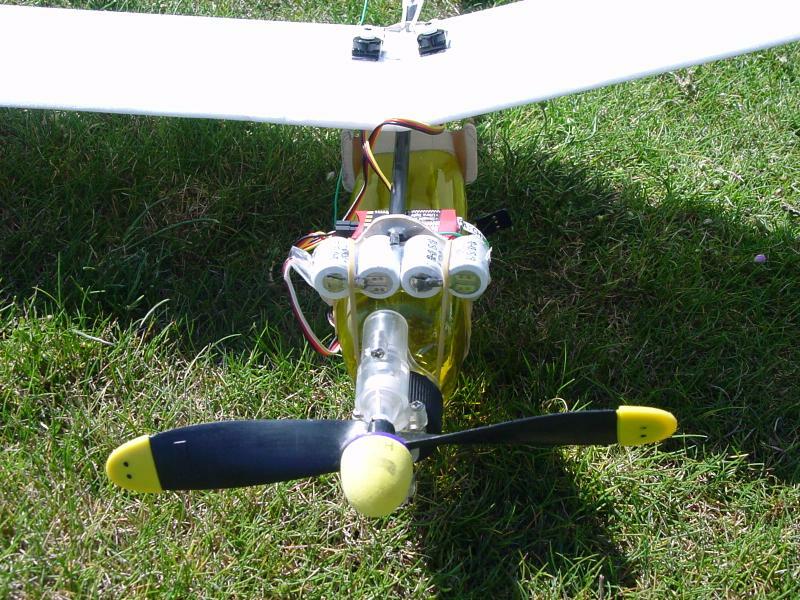 The undercambered airfoil is obtained by holding the wings in shape while heating them with a heat gun. Yann with his Radio Controled Air Hog. 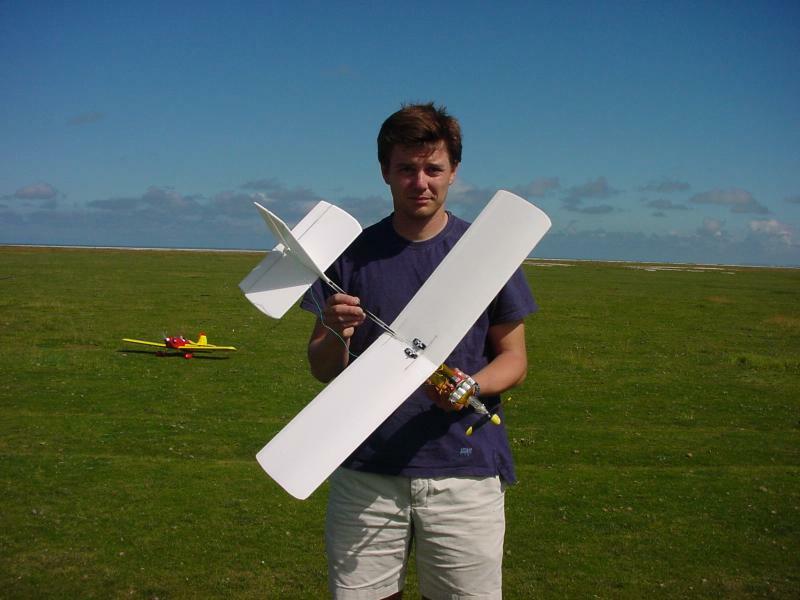 Total mass: 170 grams; Wingspan: 800mm; length: 500mm. Yann's brother, Bertrand with the plane. The wings and tail are made of 6mm Depron. The fuselage is a 6mm carbon tube. Frontal view showing the 250mAh radio battery. A smaller battery could be used to reduce weight. 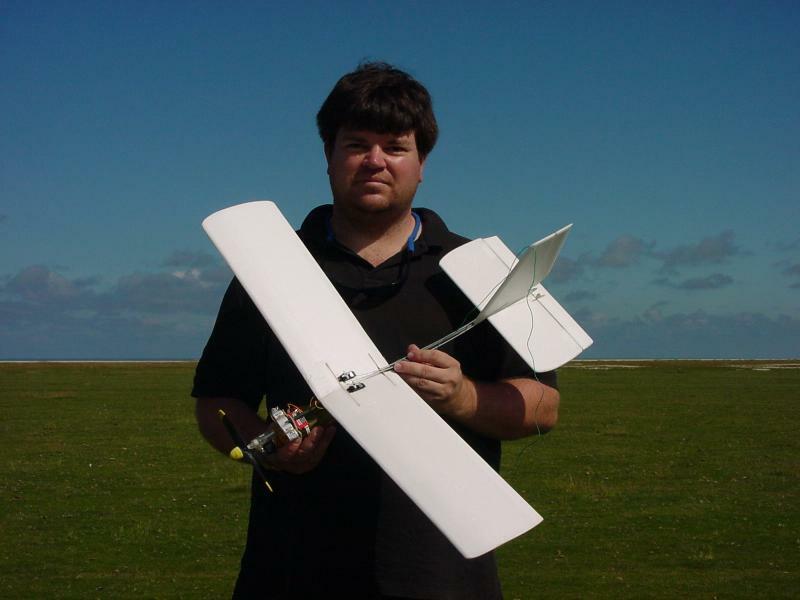 Wing loading is 14.2g per square decimeter. A 1.37MB MPEG movie showing a flight in a gymnasium in Saint-Meloir des Ondes, near Mont Saint-Michel. Yann is flying the plane. This time, Yann's dad Jean-Claude is flying the plane (1.04MB MPEG). The vertical fin caught a cable hanging from the ceiling. The plane sat there for 5 minutes until someone shot it down with a roll of scotch tape. The cable had made a 10mm notch in the fin. A movie of another version of the R/C AirHog (slightly larger wingspan).